Shop online for 72 pactra building supplies at discounts up to 47%. 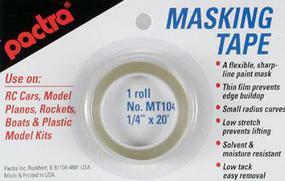 This is One Roll of Masking Tape (1/4") from Pactra. This is One Roll of Masking Tape (1/8") from Pactra. This is a 1 oz glass jar of Acrylic Pactra Racing Finish, Basic White Colored Paint. This is a 1 oz glass jar of Acrylic Pactra Racing Finish, Thinner. This is the 3oz (85g) can of Bright Red Lacquer Paint from Testors Pactra. This is a 2/3 oz Bottle of Pactra Polycarbonate Metallic Flake Gold Colored Paint. This is One Roll of Masking Tape (1/2") from Pactra. 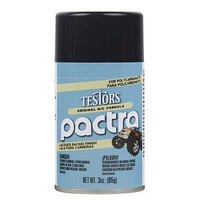 This is the 3oz (85g) can of Pearl White Lacquer Paint from Testors Pactra.